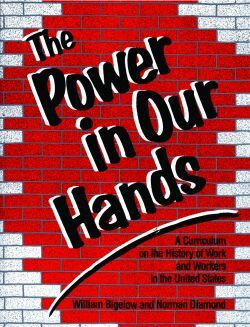 Lesson engages students in a lively simulation that helps them experience some of the pressures that lead workers to organize. In this frequently used lesson, the teacher creates a three-tier society—owners, workers, and unemployed— and, as the owner, seeks to profit through playing on and creating divisions between workers and the unemployed. Can students overcome those divisions and unite for needed changes? This lesson lets students experience some of the pressures that lead workers to organize. Depending on what happens in class, students either glimpse the possibility of organizing and practice overcoming cynicism, or gain an experience out of which their attitudes can be directly discussed. This can be used as the first lesson in a curriculum on labor history. It is fun—at times exciting. And, it suggests a basic skill in social analysis: learning to identify the differing, even opposing, interests of groups within society.